Ekphrasis, or writing that describes a work of art, is commonplace in poetry, but less so in fiction. 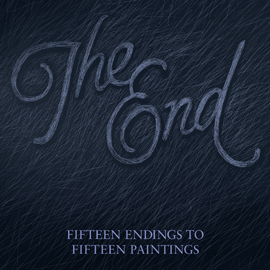 The End, which began as a series of paintings by artist Nicolas Ruston, and is now an anthology of stories, each one of which is a response to one of the paintings in the series sees the visual work as jumping off points, and therefore the finished stories are not so much descriptions of the paintings, but a parallel collection of works. You can see why artist Ruston came up with the idea, and why Unthank editor, Ashley Stokes – initially asked to write a story for each of the works himself – suggested an anthology, for ‘The End’ is something that every nascent writer appends to his own work, just as in the paintings, The End is based on a series of imagined end-titles, the word imposed over a still image. The fifteen stories are therefore inspired by the work, but are they actually inspired by the particular painting? ‘The paintings have been renamed, swapping their original number titles for the titles of the stories,’ writes Stokes in his introduction. 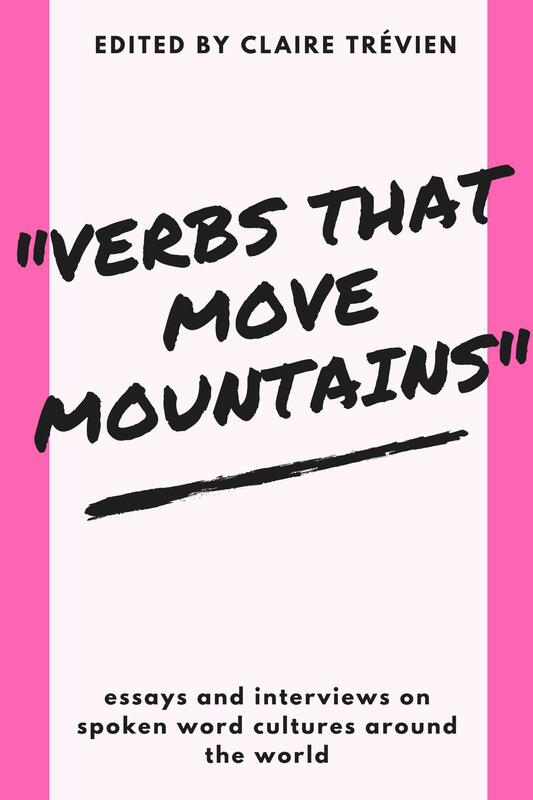 In this way, at least, the work is both response and collaboration, a joint sequence that changes the meaning of both. So much for the scaffolding, what about the restoration? Take away the premise and what we are left with is another Unthank short story collection, to put alongside their regular Unthology collections. Some of the more familiar names from the current British short story renaissance are here – Ailsa Cox, Professor of the Short Story from Edge Hill who created the Edge Hill Prize, Tania Hershman, whose Short Stops website is such a useful resource, David Rose, longstanding master of the short form whose Posthumous Stories was shortlisted for the Edge Hill. If there is a particular Unthank style I think it is a certain uncertain edginess, bleak, noirish, unsettling stories that sometimes refuse easy explanation; and there are a few here that fit that description. The opener ‘Loose Ends’ by Tania Hershman is an outlier: a collection of flash fictions thrown together exploring different kind of endings. It’s an outlier because so many of the other stories take ‘The End’ as a mortal finality. Death is never that far away for short story writers, the average collection making Inspector Morse’s Oxford look a relatively safe place to live. There’s a reason for this of course. ‘All plots tend to move deathwards. This is the nature of plots,’ wrote Don DeLillo in White Noise. Faced with ‘The End’, the majority of writers here have, perhaps not unexpectedly, taken it to mean a mortal end. Reading the book for review, rather than dipping in, it does feel a bit relentless, the death count, though the order of stories does a good job of mitigating the carnage. There are other themes of course; music plays a part, as do animals. In some ways the more traditional stories provide the better reading experience. I liked Angela Readman’s ‘Alice’, having moved to the countryside to be alone, and slowly becoming accepted by the scenery. When a gunshot draws her towards a mortal drama, she has to read between the lines of the situation, as she has done since her arrival in the countryside, risking her own life as she tries to emotionally unarm a gunman on the run. In Zoe Lambert’s ‘Chaconne in G Minor’, a violinist mourns her dead mother, in a melancholy rumination on music and familial love, whilst David Rose’s ‘Ariel’ tells the story of the allure of being a teenage motorcycle rider, echoing the fatal narrative of songs like Richard Thompson’s 1952 Vincent Black Lightning or the Shangri-Las’ Leader of the Pack. These are fine stories, but one after another seem a little contained. For this reason the best stories in the collection are those that have a bit more acreage. Ashley Stokes’ Chuggers tale ‘Decompression Chamber’ and Sarah Dobbs’ luminous story of fatalistic twins, ‘Burning the Ants’ read more like small novels and are the better for it. Dobbs story in particular is slow to give up its secrets, but the better for it. Perhaps less successful are those stories that stray too far from the contemporary. A number of stories are set in the past, against larger historical backdrops, and seem less effective somehow as a result. I was perhaps surprised how the stories were mostly fatalistic one way or another. Perhaps Ruston’s sequence implied this kind of finality, rather than any other kind of ending. It is a well formed collection, with quite a few standouts, but perhaps a little overwhelming when read one after another.